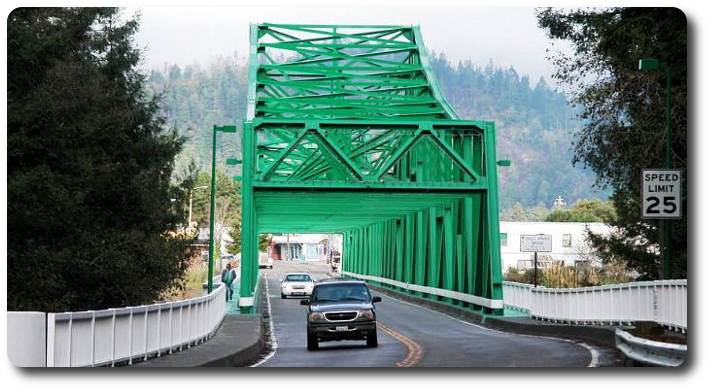 Built in 1941 this bridge connects the two communities of Rio Dell and Scotia. A panorama view of Rio Dell, Scotia and the surrounding area. 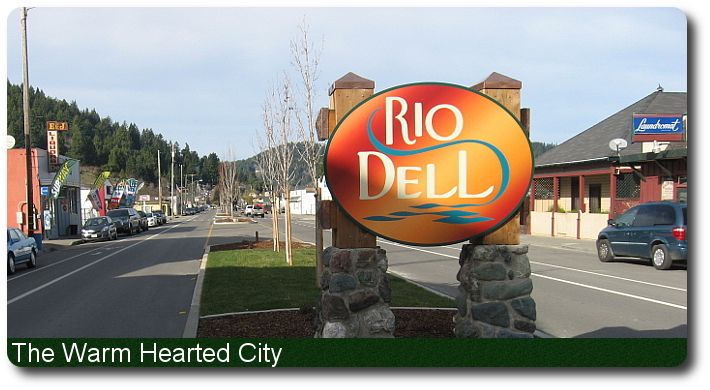 The City of Rio Dell, “The Warm Hearted City,” is located on the west bank of the Eel River, just below the ancient Scotia Bluffs and nestled comfortably in the surrounding redwood forests. 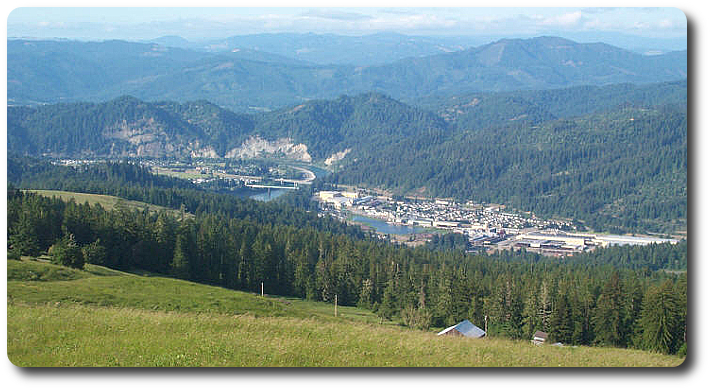 Rio Dell is a small community with a population of around 3,300 residents. Located along U.S. Route 101, Rio Dell is an excellent starting point for trips to local attractions such as the Humboldt Bay area, the Victorian Village of Ferndale, the Avenue of the Giants (which has 31 miles of the most beautiful redwood forest scenery in the world) , to the Lost Coast Loop and the beautiful, historic Town of Scotia. 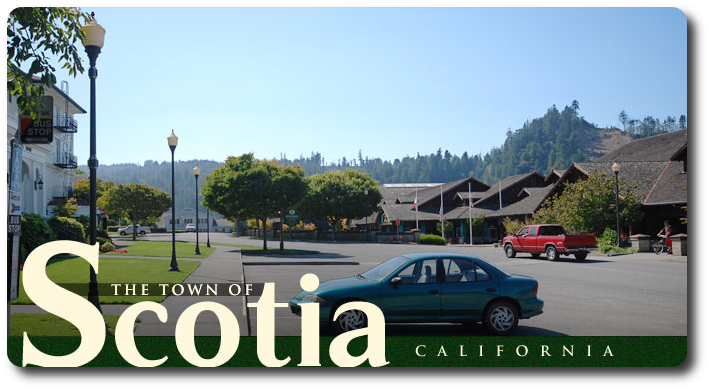 The Town of Scotia, “Where Beauty and History Meet,” is located in the heart of Northern California’s Redwood Country. It is just across Eagle Prairie Bridge, also known as Hwy. 283, from Rio Dell. Scotia was founded in 1863 and was originally named Forestville, one of the many company-owned towns across the Pacific Northwest. Today, the Scotia is transitioning from the company-owned town it once was, to a thriving, independent community of about 850 residents.